The month of July has of course been filled with activities as we continue to check off our summer bucket list. 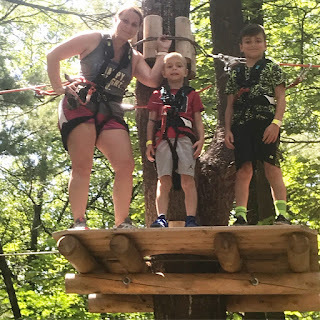 It has also been a rainy and humid month so we should of added play in the rain forest to our list:) I continue to work on my first graduate class towards my Masters in Teaching. This is something I never thought I would be doing at this stage of my life but this is the season I am in, so I will go with it. It has not been as bad as I thought. I guess my teaching experience has made it a whole lot easier than I anticipated. 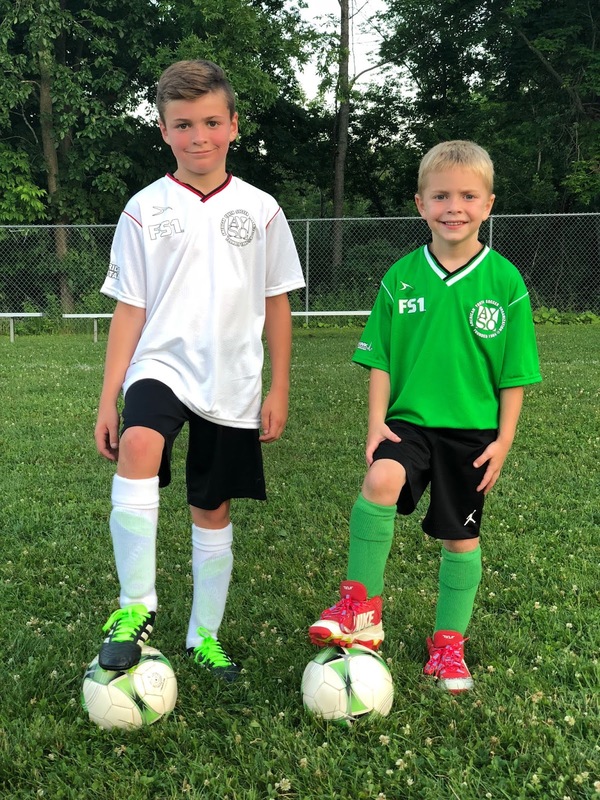 The boys have just finished up summer soccer. 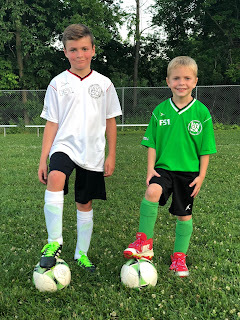 They both excelled (scoring a minimum of 5 goals each game) and we are so proud of their drive when playing sports. 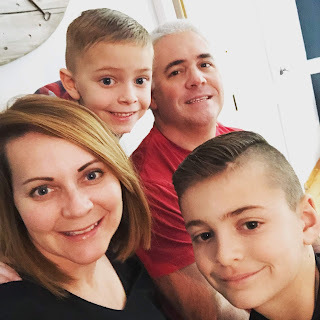 They are now gearing up for football and Max is excited that he will join the flag football team this year. Roman is moving up a level and of course is counting down the hours until the first practice. The apartment that we rent out continues with renovations after the flood from a busted pipe last month. It has been an annoying thing to deal with, but we have made out well. Blessings can come disasters. Just another reminder to look for the rainbow after the rain. We celebrated my niece graduating from college and my nephew graduated from high school this year at a pig pickin' party. While we were hanging out the night before, my other nephew called us from Air Force boot camp. It was so great to hear from him and he was so positive and said he was doing great. He graduates in a week and we could not be more proud of him. We have kept in touch my letters and the boys love hearing from him and keeping him up to date with what is happening in the sports world. 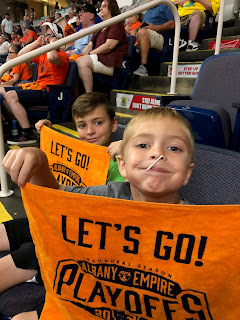 We have enjoyed eating clams with family, swimming in the pond, swim parties with friends, having out at the YMCA, baseball games watching the Valley Cats play, and attended the playoffs for the Albany Empire Arena Football Team. The boys were invited to be 'benchwarmers' during warm-ups. 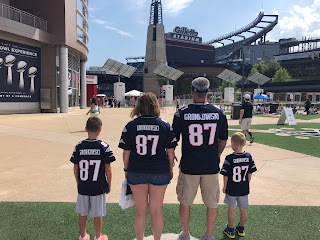 The boys had no idea who the team was that morning, but by the end of the evening they were fans. They cheered their hearts out and after a nail biting end, their season came to a close. The boys were disappointed but it was a fun night nonetheless. We also enjoyed a ropes course at a local park called Wild Play. Roman flew through it and Max was a little unsure the first time around. His second time around he did great and I also want to add that I did better than Rick:) It was set up for younger ones so the height of Rick did get in the way so I won't give him too much trouble for going slower. The boys are asking to go back so I am sure we will. Max and I went on a hike one afternoon. 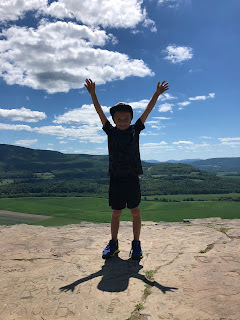 We hiked Vroman's Nose. It has an amazing view once you get to the top. We enjoyed an ice cream cone when we finished. I love when I get to do something one on one with the boys. Max also enjoyed a week of sports camp at a nearby college. This gave Roman an opportunity to hang out with some friends and have some one on one with me. The most exciting thing from this past month was our visit to New England. We took a road trip to Massachusetts and Rhode Island. 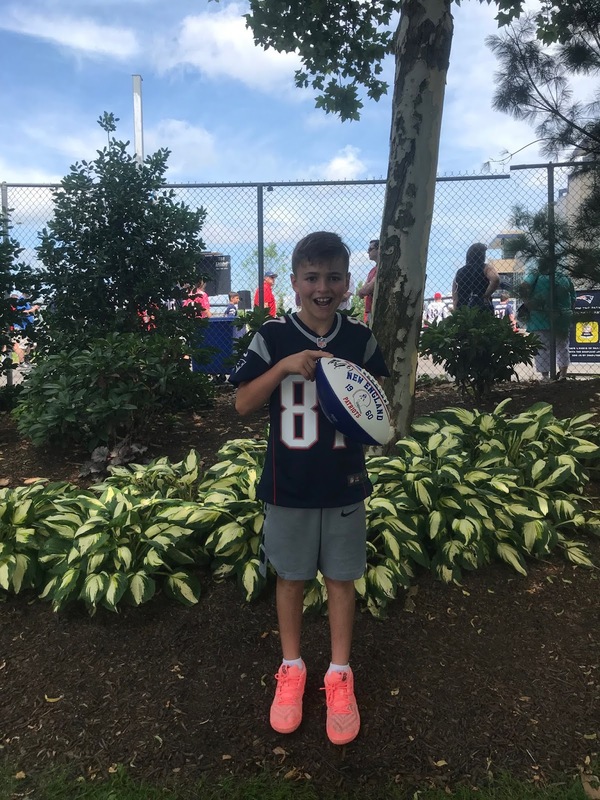 We attended the New England Patriots training camp for two days. We were able to see all the players up close. As you know, the boys love the game of football and the Patriots so they were in their glory. The first day was fun but we did not get any autographs. The boys were ok with it because just being in the presence of the team was enough for them. The next day, Max and I decided to stay back at the hotel and sleep in as the day before was a little long for Max. Rick and Roman got up early to be the first in the park. 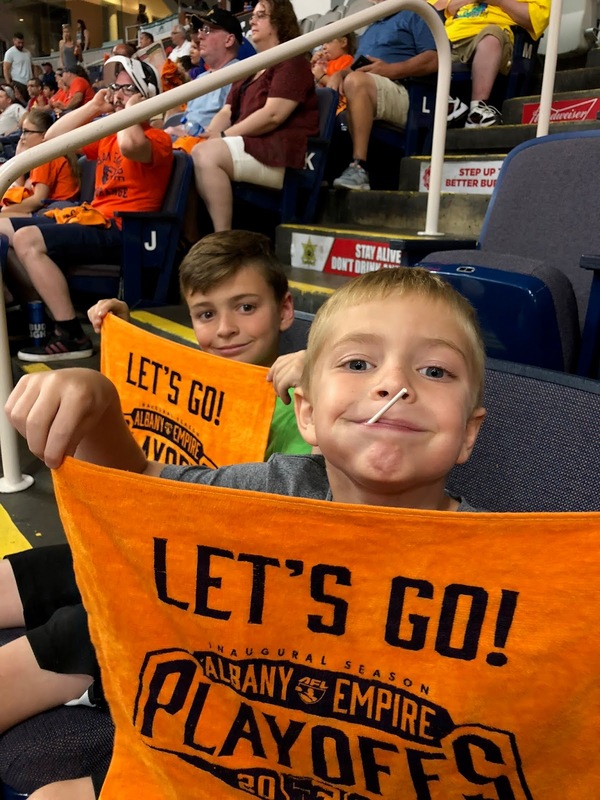 They got the seats they wanted and had a great day. Roman got an autograph from Sammy Moss (Hall of Fame Patriots Running Back), He was so excited. As the end of practice that day, Rob Gronkowski was doing some autographs. He only would stop a couple times down the line of fans surrounding the field. As he got closer to Roman, he looked at him, grabbed his ball, and signed it. Roman was 1 of 20 autographs he gave out that day amongst thousands. For those of you who do not know, Gronkowski is our player. 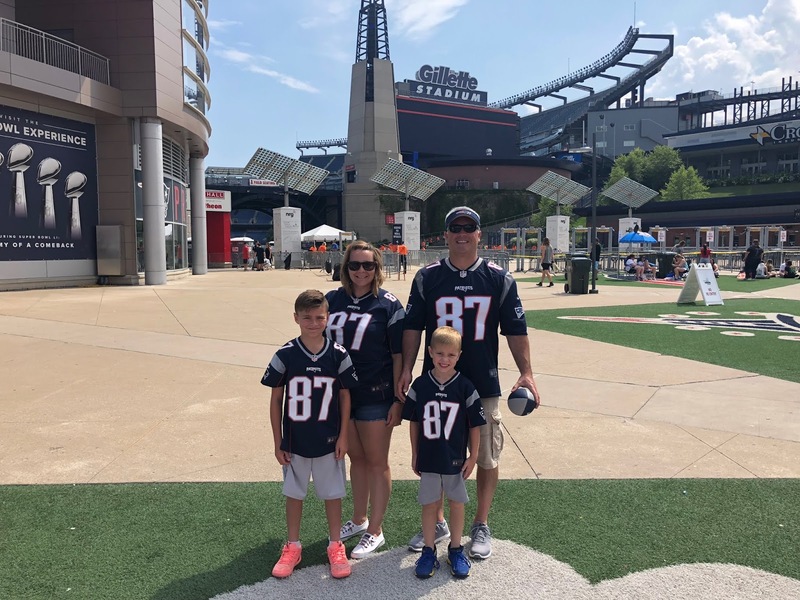 He is the one who got the boys excited about football and the Patriots. He is not known to do autographs. So the fact that he did that day, and signed a ball that Roman was holding is something that Roman will never forget. As you can guess, the ball is behind a glass case in his room now. A memory we will all remember. We just said good bye to our close friends from Texas. They were here for a couple of days visiting and we did not do much except hang out and chill. To have such good friends in your life who have known you for years is something not to take for granted. Our friend Dave like to metal detect so him and Roman roamed our yard for a couple of hours. Not too much was found except some old nails and a penny dated 1916. So, until a treasure is found, back to work we go!! !